Thomas is an award-winning chef with 40+ years of experience. He loves to cook and share recipes. This recipe for meatloaf is one of the best, if not the best, in the whole world. Enjoy! 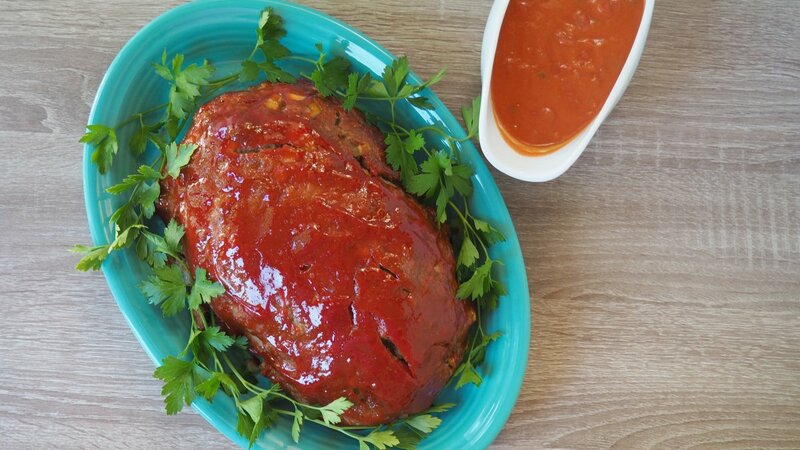 Here is one of the most delicious recipes for meatloaf and tomato gravy that you will ever make and enjoy. Once you taste it, I think you'll agree that it truly is the best. Meatloaf, to most Americans, is a comfort food. 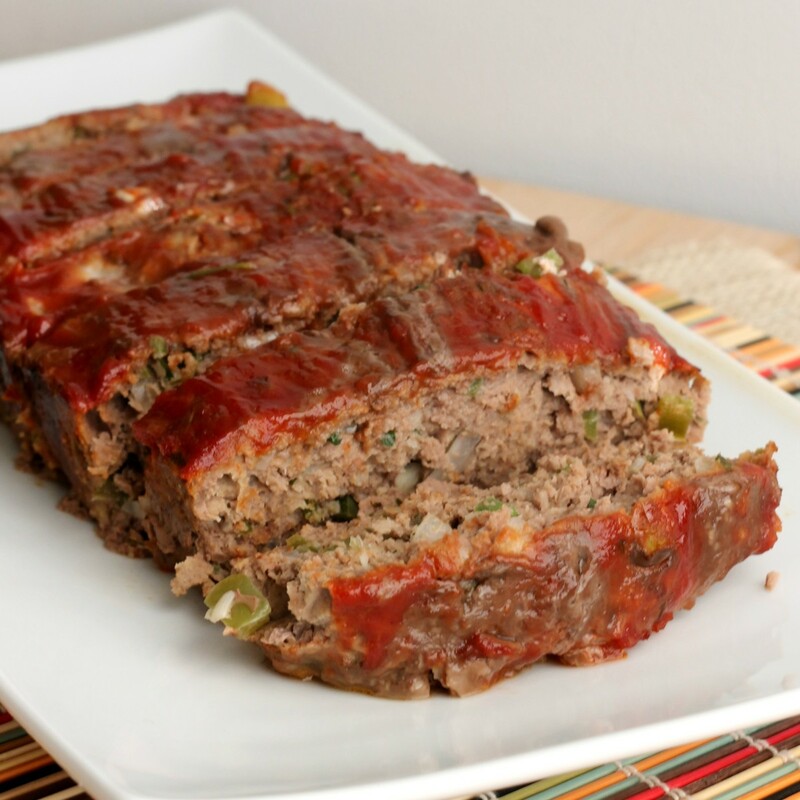 Most of us remember our grandmother or mom making that oh-so-special, delicious meatloaf. I know I do. Both my grandmother and my mom made delicious meatloaf that I still remember. I merged their recipes with mine and that is how I came up with this wonderful version. No matter how you prepare this recipe, it's wonderful. I personally think it deserves the title "world's best meatloaf." Chop veggies finely. Be sure that your celery, onions, and bell peppers are chopped into very small and even pieces. You don't want any large chunks of vegetables in your loaf. I get the best results by chopping my vegetables in my food processor, so that all the small pieces are the same size. You want the pieces to be as small as possible—with my food processor, they come out to be about the size of a grain of rice. Wet your hands. You should wet your hands when you are working with and shaping your meatloaf. If you do this, you'll find that the loaf is less likely to stick to your hands. You'll also find that cleaning your hands up afterward will be much easier. Thoroughly mix the eggs, half and half, and spices into the loaf before adding the vegetables. 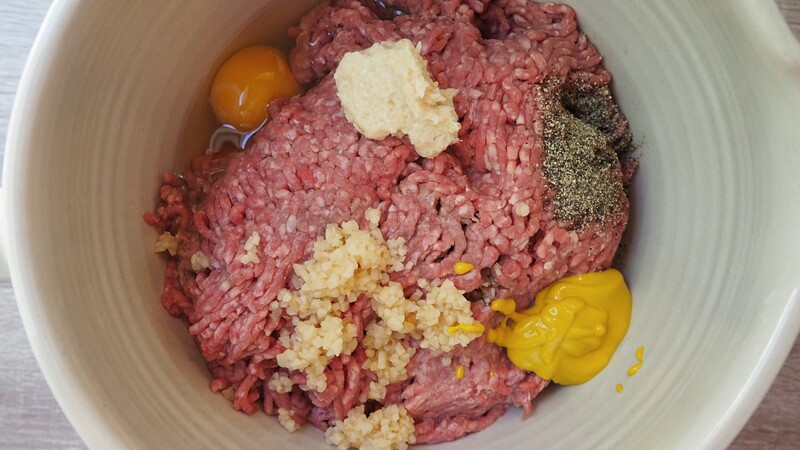 In a large bowl, mix together the ground beef, half and half, an egg, and the seasonings. Spray your hands with vegetable cooking spray and get right in there, mixing your meatloaf up well. 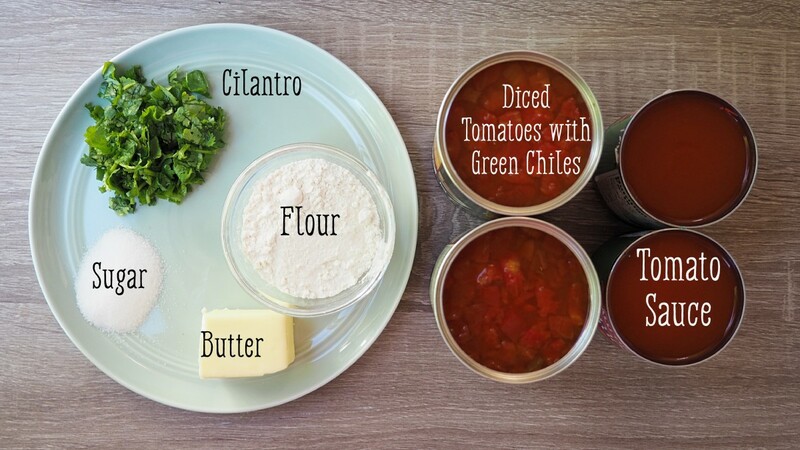 Now add in the rest of your ingredients and mix them up very well. Shape your meat mixture into a loaf and place it onto a baking pan that you have sprayed with vegetable cooking spray. Be sure to smooth out the top part of the loaf with your hands. You can choose either to dome the top part or make it flat, whatever your preference is. After it's smoothed or domed, spread the ketchup over the outside. Bake for about 45 minutes or until your meatloaf reaches an internal temperature of 160°F in its center at the thickest part. Allow it to cool slightly before you slice and serve. 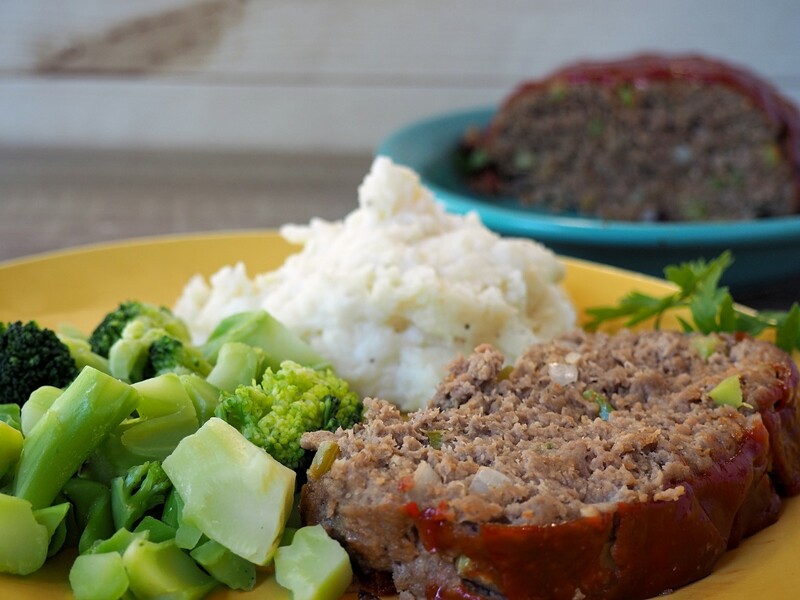 This meatloaf recipe is delicious with a side of mashed potatoes. Try cooking your meatloaf in an outdoor smoker or on a charcoal grill over indirect heat. 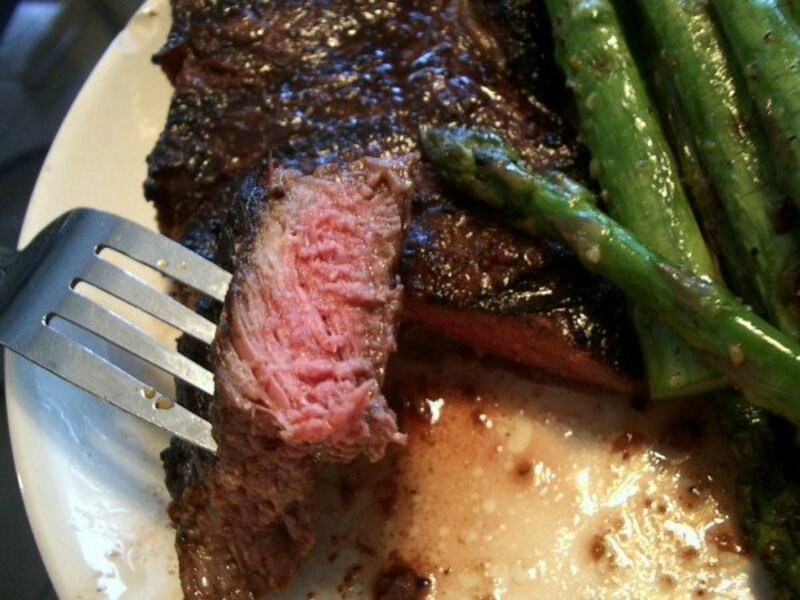 In case you don't know, when you cook over indirect heat on a charcoal grill, the fire is on one side of the grill, and you cook on the other side. Melt butter in a large saucepan over medium-high heat. Whisk in the flour until smooth. Cook, whisking constantly, for one minute. Whisk in the remaining ingredients and cook for five minutes, or until thoroughly heated. Serve on the side with your meatloaf, and wait for others to be wowed and beg you for the recipe. 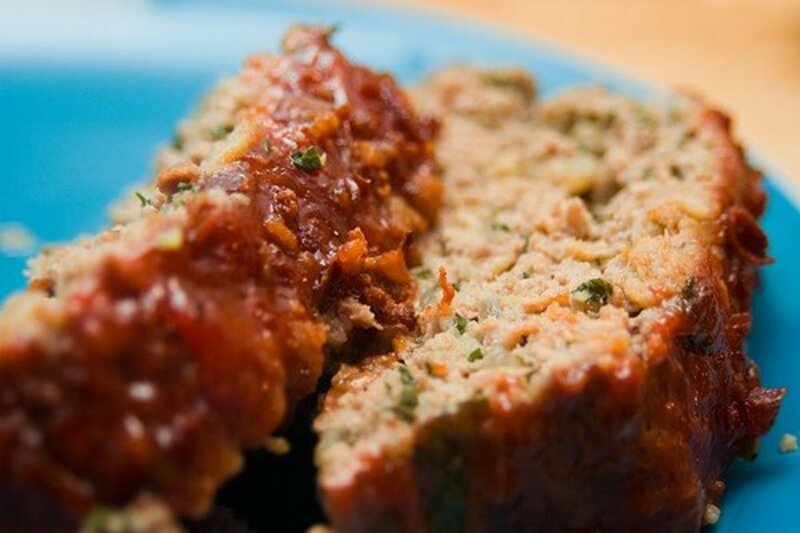 This meatloaf will have your dinner guests begging you for the recipe. Pans: I like to use a loaf pan or loaf pans to cook my meatloaf in. If you like to use baking paper, take the time to find the kind that has tinfoil on one side and parchment paper on the other side. 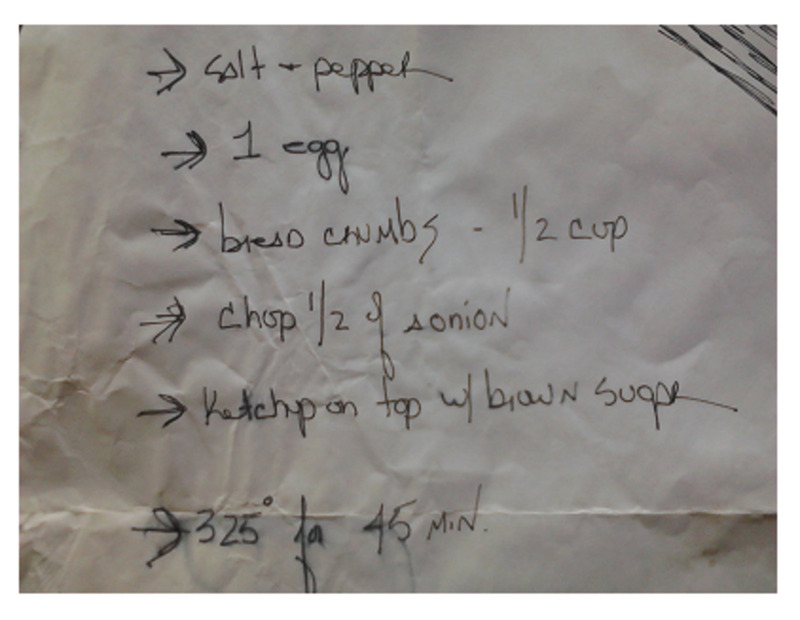 Cut pieces of this paper to fit the bottom of your pans and put the tinfoil side of the baking paper down. 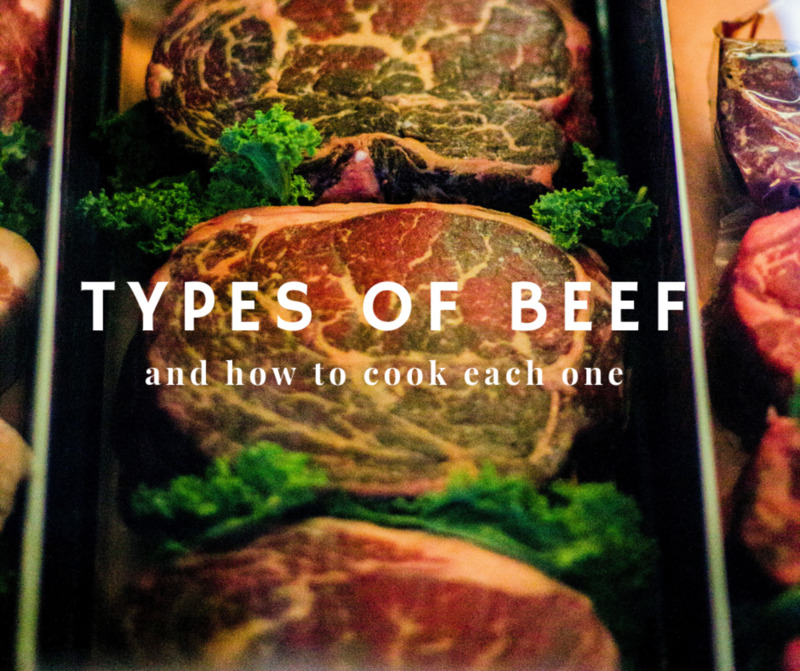 This will help to ensure that your cooked meatloaf will come out of the pan just perfect. Room-Temperature Ingredients: Let all your ingredients acclimate to room temperature before you start to mix everything up. This way, it will mix up a lot easier, and it will always go together and come out of the oven looking pretty. Internal Temperature: Always cook the loaf until it reaches an internal temperature of 160°F (70°C). Measure the temperature at the thickest part of the meatloaf. 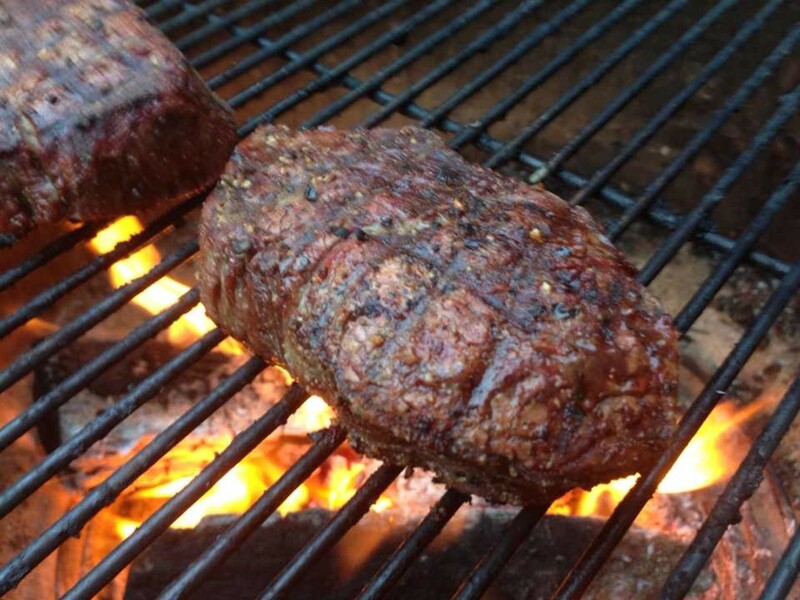 It's best to use an instant-read meat thermometer to get the right temperature. Lean Version: To make a healthier rendition, start with lean beef or pork and place the loaf on a rack over a roasting pan so the excess fat can drain off as the loaf bakes. 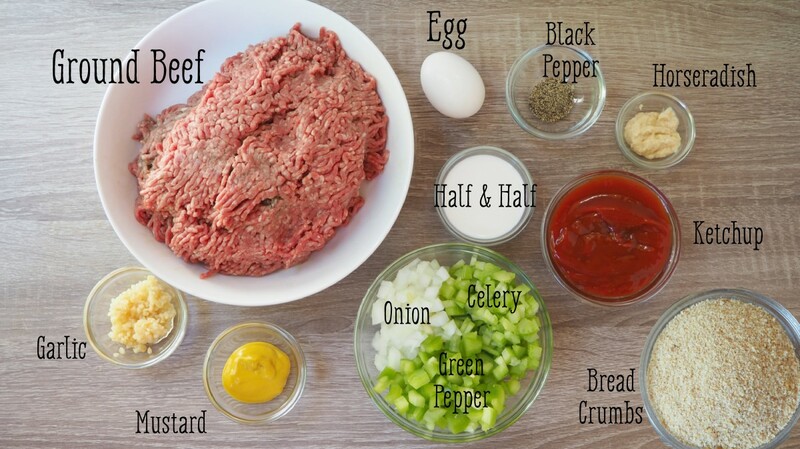 You can also replace half the ground meat with ground turkey or use an egg substitute. That is, if you feel like being healthier. I like it made just as the recipe dictates. Super Moist Meatloaf: Some recipes call for a 1/2 cup of a milk in addition to the cream, which makes the loaf even more delicious and moist. Cook It the Day Before: Most people will find they can make and cook their meatloaf on the day of or the day before serving and store it in the refrigerator overnight, covered. Many claim that the flavor is enhanced this way. Try it and see what you think. I like to make it and cook it all in one day. Then I like to store the finished version overnight in the refrigerator, heating it up and serving it the next day. Side Ideas: This meatloaf is amazing served with homemade mashed potatoes, brown gravy, and green beans. You won't find a more delicious combination. Incorporate Other Meats: In case you don't know, meatloaf is any ground meat mixture that is shaped into a loaf and baked. Meat loaves can be made from beef, veal, lamb, or pork, and usually contain onions, breadcrumbs, eggs, and various seasonings. No recipe is written in stone. If a recipe has something in it you don't like, then, by all means, take it out and use something else. You never know what kind of tasty meatloaf you may end up with. Be sure to thinly slice your leftover meatloaf and try it in sandwiches (see below for instructions on this). How About a Delicious Sandwich? Have you ever had a meatloaf sandwich? If not, you need to make one! Cut the leftover meatloaf into thin slices for open-faced sandwiches. Add an egg on top for an interesting touch! Take two pieces of toast and heat up two thin slices of your leftover meatloaf. Then, put brown gravy with cooked, thinly sliced sweet onions in it over the meatloaf and toast—you'll have one of the most delicious sandwiches ever. If you get tired of the tried-and-true leftover meatloaf sandwich, here are a few unconventional ways to use your leftover meatloaf. Post your comments. Also, feel free to post your tips, suggestions, and questions. No salt? I added kosher salt and will know if that was wise when it's done. Bubbie ... I use Keebler crackers crushed. Everyone loves 'my' meatloaf .. I just simples chop mine .. do not use a food processor, it would try out like mush ..ewwwwwww . Good recipe, I added some salt, as there was none in the recipe. I cooked it up as 3 separate free form meat loaves and used a combo of bbq sauce and ketchup on the tops at end of 1 hour and baked for an additional 15min. Worlds best meatloaf? Says who? That was the worst most disgusting meatloaf ever! Oh and where did you come up with 45 minutes to cook? It was raw and I had to cook it for another 1 1/2 hours after that! You claim to be a cook? I would never eat in your restaurant, you can’t even make a good meatloaf! Delicious my hubby loved it. Thank you for sharing this great recipe! I’m a little confused- I mixed all the ingredients together as directed including the keptsup and eat that I was supposed to place it on outside of meatloaf. Turned out to be moist and tasty, for Father's day dinner. To those who can't print or download. Just make a folder in Pinterest called Meatloaf, then save it to your folder. Or, before we had printers we had these things called a pen and paper. Write it down. Any substitute for the bread crumbs? Today I'm trying your recipe I used red pepper instead of green as that is what I had in the house. I did reduce celery an pepper amount to have added a little brown sugar to the ketchup. I didn't have cream so I used 2 Tbls. Onion dip to my mixture. Can't wait to try it. I put it together 4 hrs in advance then will bake it after gardening. Thanks for sharing this. I made this before it's really very scrumptious loaf and easy to make no hassle . Thanks . Why is it when we find a recipe we want to try, we can't get the recipe to print? What is the sense? How if we mixture with potatoes and add some carrot right?? Ok we wait another kind of recipes. This is the best meatloaf I have ever had. The sandwiches the next day are Delish!!!!! I use ground turkey for mine (93%). My mother was an excellent cook. she was way ahead of her time.in the 40's she was using ingredients that cooks are using today. she could make a gourmet meal out of the simplest foods. I tried to duplicate her meat loaf. She always used half ground pork and half ground beef. I kept looking for a recipe that called for green pepper, because I knew it was in her meatloaf and I'm sure also the horseradish, which I love. I could never find it on the internet, until today. It sounds exactly like my mother's recipe. When I would make it in the past with other recipes, it just didn't taste like what I was looking for. I can't wait to try this. Best meatloaf is after you form your loaf put yams around the loaf and pour the juice of yams over the loaf and cook 1hr 30 min. want be dry. I have made this meatloaf and added only one more ingredient that my mother used, which was rice. 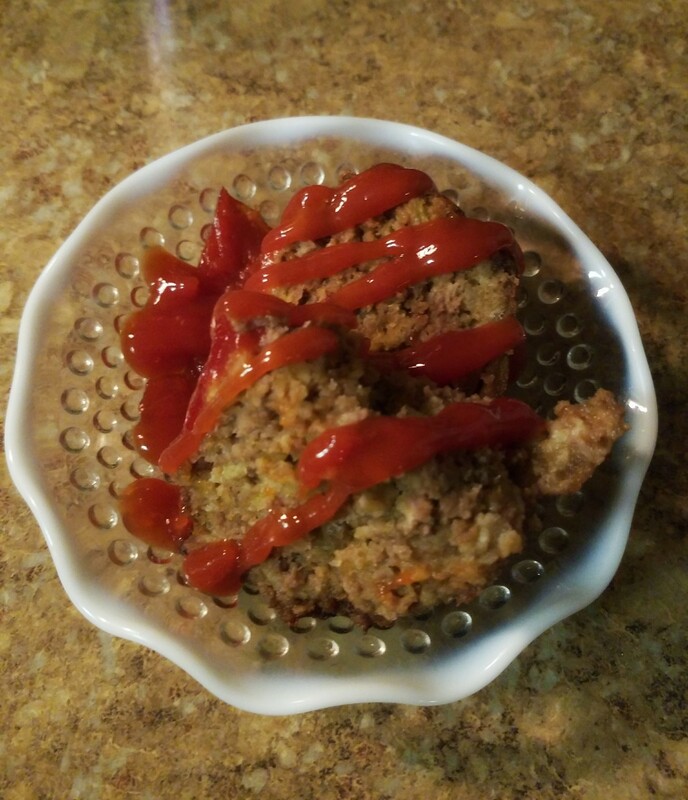 She added just under a half cup to the mixture uncooked, and as the meatloaf cooked, the rice absorbed the grease in the meatloaf and added flavor. Thanks so much. The recipes are so, so, good! I make a very similar meatloaf and combine catsup, a little mustard and some brown sugar and about 1/4 tsp. nutmeg and spread this on top before baking it. Delish!!! I'm a little confused..the ketchup is listed in the middle of the ingredients, so does it go inside, or on the outside? What is half and half?? Prepared or Dry Mustard. Either will work. Is it dry mustard or prepared? I put the ketchup on the outside. And it is a wonderful meatloaf. Does the katsup go on the inside and outside or just the outside? Looks great! I haven't been here in a long time, so I was happy to see someone make reference to your hubpage on Facebook. I had to re-create my account because I had deleted the original. 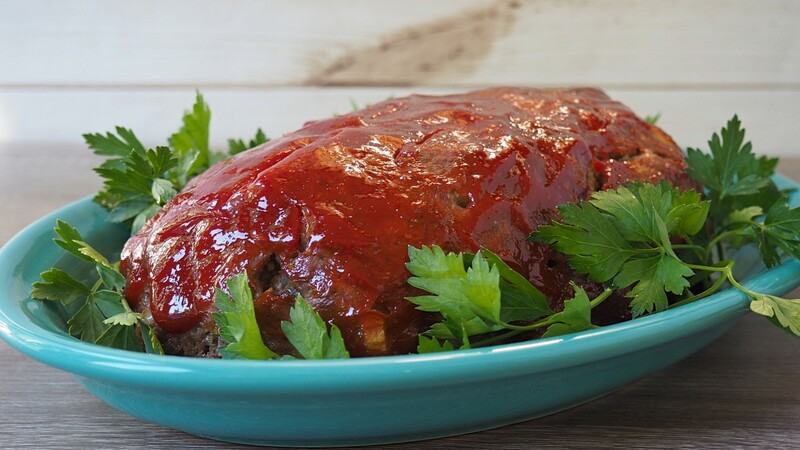 This meatloaf looks wonderful! I can't wait to try it. Oh, that does look good! And I do love meat loaf! Thanks.